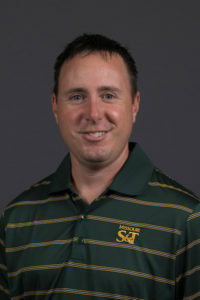 Dr. Anthony J. Convertine, a biomedical engineer whose research seeks to tap polymer science to unlock the next steps in advancing drug delivery systems, has been named a Roberta and G. Robert Couch Assistant Professor of Materials Science and Engineering at Missouri S&T. Convertine joins S&T from the University of Washington, where he rose to the position of research associate professor of bioengineering after starting there as a senior postdoctoral fellow in 2006. His research interests include biomaterials, polymer synthesis and characterization, controlled radical polymerization, targeted drug delivery and cancer therapy. In Rolla, Convertine will join colleagues at the university’s Center for Biomedical Research who specialize in bioactive glass science and engineering, including the use of bioactive glass and ceramic scaffolds to regenerate bone and heal soft tissue wounds, and who are developing biomarkers for early detection of cancer. Convertine is a Florida native who earned a Ph.D. in polymer science and engineering from the University of Southern Mississippi. 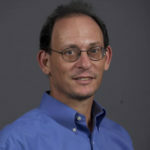 He joins Dr. Caizhi Zhou as a Couch assistant professor. The professorship was established through an endowment of more than $1 million from the estate of Couch, who graduated from the university in 1941 with a bachelor of science degree in chemical engineering. Robert Couch, who died in 2010, was also awarded an S&T professional degree in metallurgical engineering in 1976. His long career in the mining industry including serving as president of the specialty division of AMAX Inc., as well as president of the Metallurgical Society, an industry group. Unlike many endowed faculty positions, the Couch professorship is focused on younger researchers at the assistant professor level.